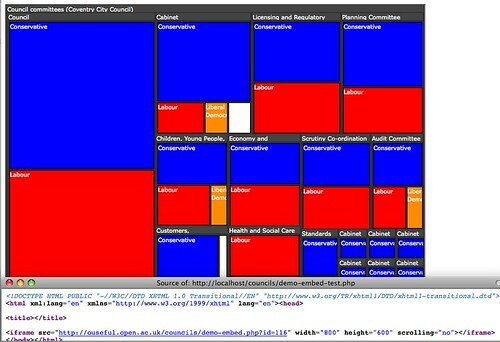 As a great fan of treemaps, I’ve posted a couple of times about the various ways in which they may be used to provide glanceable views over the makeup of local council committees (e.g. Glanceable Committee Memberships with Treemaps, Treemapping Council Committees Using OpenlyLocal Data. 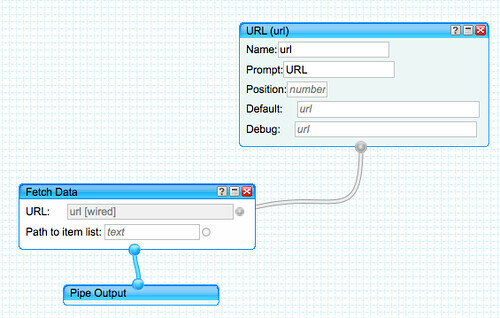 Prompted by Dev8D hackery last week, I spent a little bit of time getting a version of the JIT treemap working with data feeds from the OpenlyLocal website, as hinted at in Some of My Dev8D Tinkerings – Yahoo Pipes Quick Start Guide, Cross-Domain JSON with JQuery and Council Committee Treemaps from OpenlyLocal. If you want to grab a treemap for a particular council, you need to find it’s Openlylocal ID number. This appears in the various URLs for council pages – can you guess the ID number for the following council?